1.Pick the size of your pumpkin carefully! It is important to understand that while a big pumpkin can be a showstopper it can be much more difficult to carve. Larger pumpkins usually have much thicker and harder shells, often making it much more difficult to get your knife cleanly through. In addition, the larger the pumpkin is, the more extensive and messy it will be to clean. If you want to tackle the additional effort of doing an extra large pumpkin, go for it, but just understand it can be a daunting task. After size the next consideration is the shape of the pumpkin. 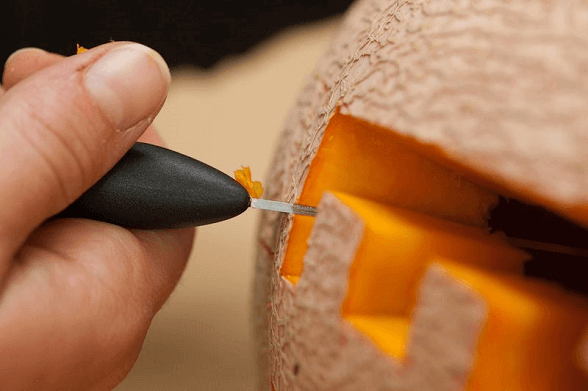 Does your pumpkin have a smooth side for easier carving or is the shell bumpy or pockmarked? While these marks can add character they may make carving more difficult for a beginner. Before taking your pumpkin home, sit it on the ground and make sure it remains upright. No one wants a pumpkin that won’t stand up, and if it tips constantly and has a lit candle inside, it could become a fire hazard. Make sure your pumpkin is visually appealing, and evenly colored: preferably with a deep orange. 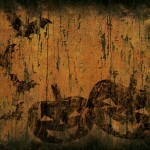 The pumpkin should also be free from cuts, soft spots and bruises, and the flesh should feel hard and not give easily. This is important since infections can invade easily and cause rot. Lastly you should make sure the stem is attached. 2.If you don’t plan to carve your pumpkin right away, be sure and store it carefully, especially if you pick it from the vine yourself. You can literally cure a fresh-picked pumpkin by keeping it in a dry place. Don’t handle or disturb it. This curing toughens the rind, making it less prone to rot. 3.Now that your chosen pumpkin has passed the physical inspection and you have taken it home and stored it carefully, it is time to clean it up. A small brush and warm water should be all it needs to remove any dirt or debris that might be sticking to it. If the tip of the pumpkin is uneven or too long, now is the time to trim it down for easier handling. 4.Assemble all your needed tools before you begin the carving. Laying newspaper or plastic tarp down over your table will also help facilitate an easier clean up. Begin by carving the top off at an angle. This needs to be done at angle so the top doesn’t fall through when placed back on. 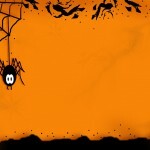 5.The pumpkin needs to be cleaned out of all seeds and meat. If you like roasted pumpkin seeds, this is the time to set them aside for roasting later. While many tools can be used to empty out the shell of the pumpkin many experienced carvers report using their hands. It’messy but fun! 6.After the pumpkin is all cleaned out, it’time to determine the pattern for your carving. You can use a template or draw your pattern by hand. Remember this is supposed to be fun not necessarily artwork. Whether using a marker to freehand your pattern or a template, it is a good idea to get an idea of what you want before making any knife cuts. 7.Now that your pattern is established, it is time to begin making knife cuts. Use short easy strokes to take out each piece and avoid over cutting. Remember you can always cut out more. If children are involved be sure and implement whatever safety measures are necessary since pumpkin knives can slip and cause serious injuries. 8.After you have finished cutting your desired pattern insert a candle or small light in your carved pumpkin. Sit it in its place of honor and enjoy a festive Halloween!